Square Enix president Yosuke Matsuda recently talked about some big plans for the company in a recent interview with Nikkei Trendy, stating that there are “high-end games” coming from Japan and studios in other countries. This includes a brand new JRPG for consoles. “For fiscal 2015, I think we have a considerable amount of high-end games both inside and outside the country. Starting with Final Fantasy XV, we’ll be putting out news for Japanese RPGs. I think we’ll have a little surprise, too: a JRPG for home game machine(s).”- Yosuke Matsuda told Nikkei Trendy. He also stated that Square Enix’s, “Japanese and Western studios are both bolstering their lineups considerably,” and that the company’s goal in 2015 is to give gamers, “a box of surprises”. 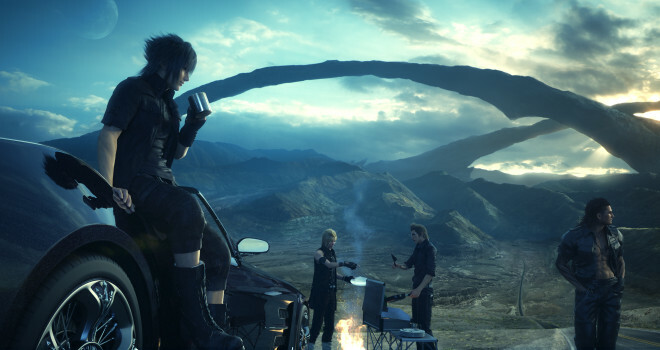 Square Enix hasn’t been in many gamers’ favors since they made some major mistakes last gen, but it sounds like, starting with the jaw-dropping Final Fantasy XV, Square Enix is preparing to impress and excite gamers again with shocking new announcements and game releases.